The title refers to her extraordinary archive of letters (signed off as Love, Gilda) and journal entries, which chronicle her life and times, but which also coincided with the second wave of feminism and the female comedy force that followed, and Gilda was a force all of her own with the original 1975 cast of “Saturday Night Live.” Often these types of celebrities emerge from their most famous performances, but Gilda had just as fascinating a non-celebrity life before the fame, with a circuitous route to her notoriety. Yep, it’s always something. Gilda Susan Radner was born in Detroit, Michigan, to a well-off family (her father owned and operated hotels) and was raised primarily by a nanny she called Dibby, who encouraged her active imagination. Plagued with eating disorders as an overweight child, she outgrew the weight but not the psychology of that mindset, by the time she enrolled at the University of Michigan in the mid-1960s. Radner was often mistaken for Canadian, because she quit UofM to follow a boyfriend to Toronto. The relationship didn’t last, but her beginnings as a performer began in the Great White North, and she eventually joined The Second City of Toronto as a featured player… which included Dan Aykroyd, John Candy and Eugene Levy. This connection led to a job in New York City in the early 1970s, which eventually landed her at Saturday Night Live. “Love, Gilda” has a limited nationwide release and is available on Amazon Prime for download. See local listings for theaters, show times and download providers. 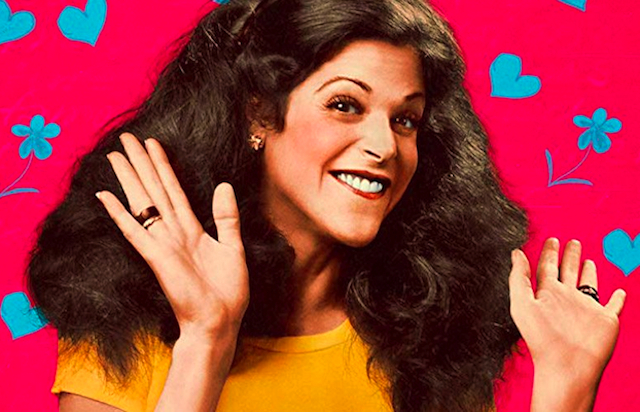 Featuring Gilda Radner and the cast of her life. Directed by Lisa Dapolito. Not Rated.